A Juvenile California Sea Lion named 'Dudley' was captured and removed from Alki beach in West Seattle on 7-18-18. Dudley is approximately 5-7 years old. 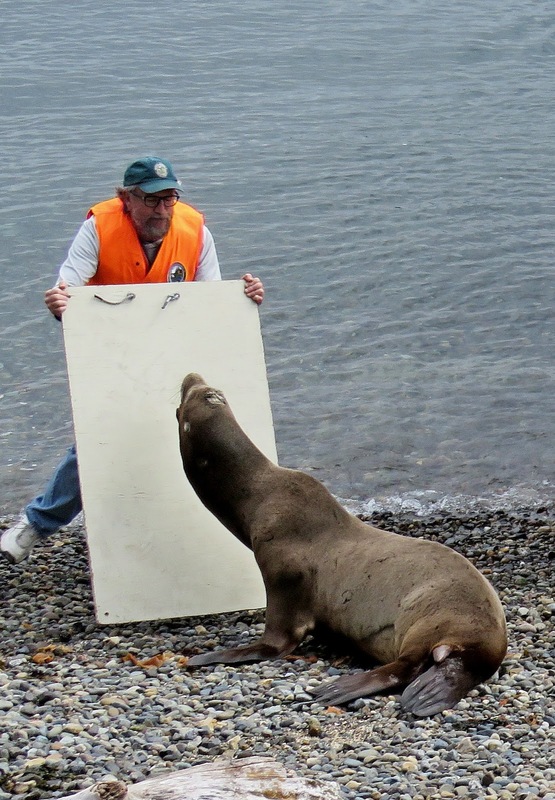 He had lost the use of his hind flippers which showed some lacerations which may or not be associated with the loss of use. He may also be ill. 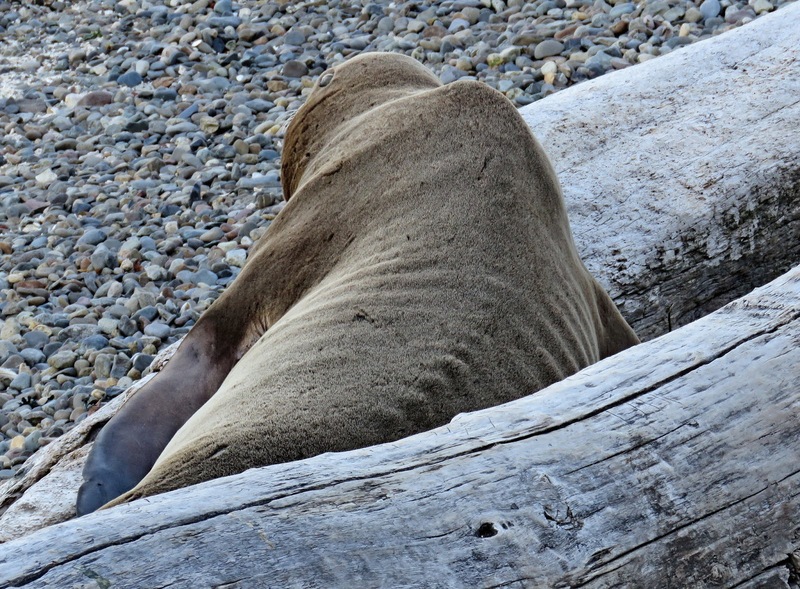 Normally sea lions in this condition in the wild are placed under observation if possible and not captured. Nature will then take its course. There are over 300,000 California Sea Lions in the North Pacific and they are not endangered however they are protected under the Marine Mammal Protection Act. Dudley would have be left to nature but he moved onto a heavily used public beach where he likely would have interacted with humans...at 400 pounds and a defensive disposition it is possible he could have caused serious harm to anyone who came too close. This is the reason for his capture and removal from the beach. 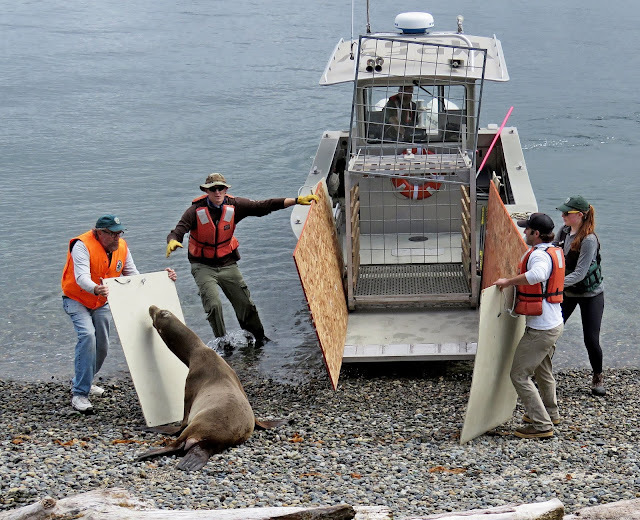 It is likely that Dudley would have faced a slow painful death if left to nature. 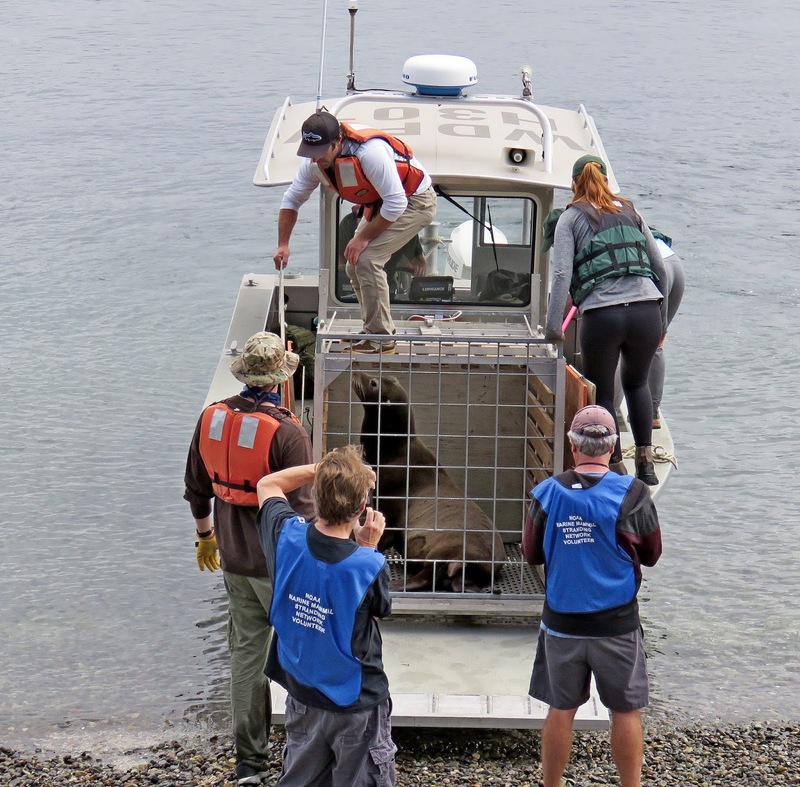 The WDFW and NOAA and Seal Sitters staff were all involved in the capture. This is the first capture of a California Sea Lion on Alki beach ever recorded. 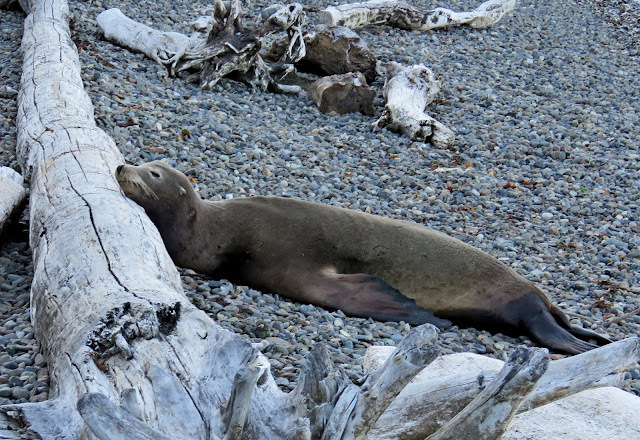 Beaching of Sea Lions in Puget Sound is extremely rare as they rest in the water or often on offshore platforms or buoys. All California Sea Lions in the Seattle area are males that come north from California, Oregon or Washington coasts during the non-breeding season and are seen in the area from August till May. 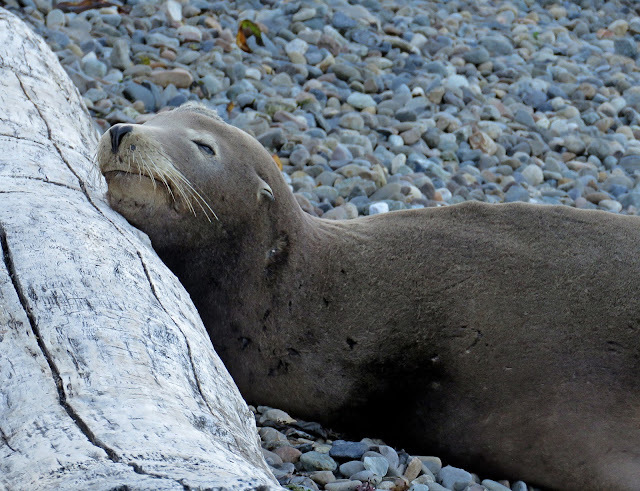 By May all but a few have migrated south to breeding grounds in California, although some do breed on the Washington and Oregon coasts. 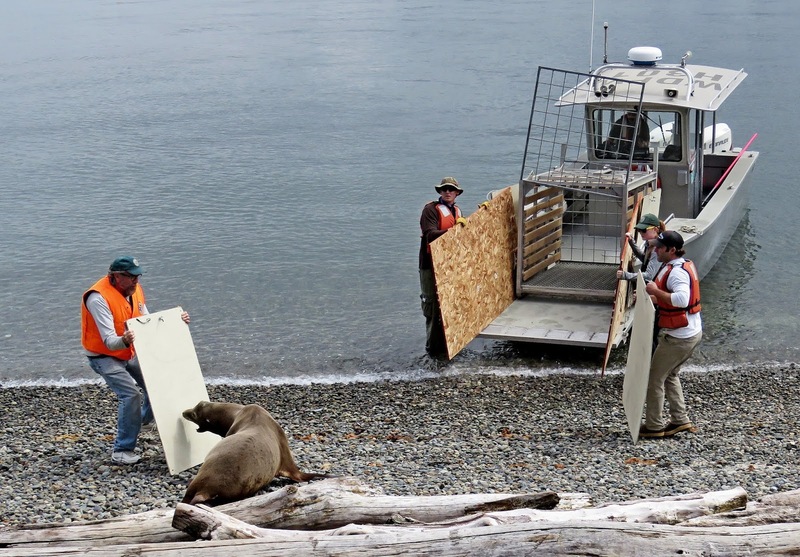 Females remain south and nurse pups for about 6 months. We do not see females in the Seattle area. 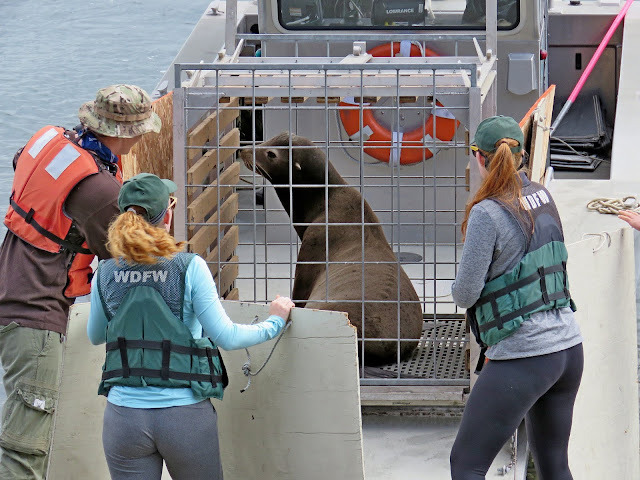 The capture went smoothly even though Dudley did put up some resistance and it was the professional expertise of the WDFW and NOAA that made the capture go well. More on Dudley's fate later. 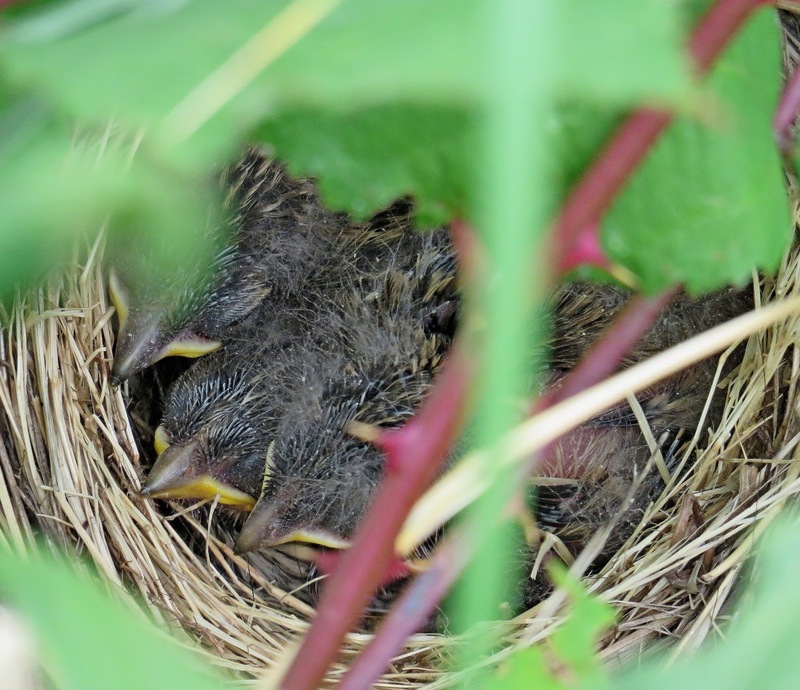 Finally on a happier note at the same time Dudley was being captured we noticed a nest just below where we were standing that was full of White-crowned Sparrow chicks....Life begins..
Ready for transport to WDFW lab.